Viper4Android for Android Pie 9.0 installation guide. HomeAndroidViper4Android for Android Pie 9.0 installation guide. The Viper4Android for Android Pie 9.0 is here. We have already shared the best audio mod for the previous Android ore version. But today we are here with the Android Pie version of Viper4Android. 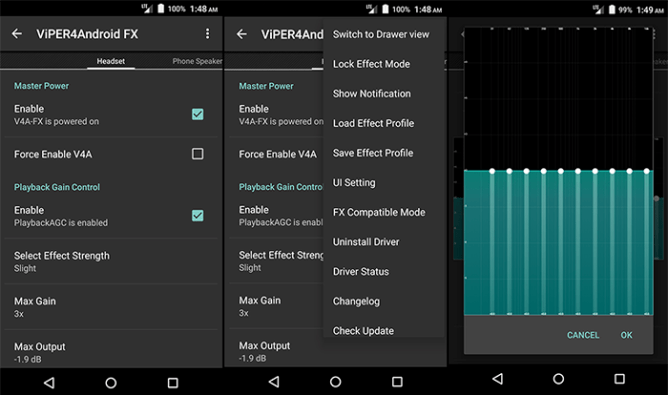 There have been many older version of Viper4Windows, but this latest modification in this Android tool brings better and more smoother audio performance for the updated Android devices as VipersAudio drivers. I was looking for the Viper mode for my device as it works best on the dual or stereo speakers on my Google Nexus 6P. This guide works perfectly on any Sony Xperia, Asus Zenfone, Redmi Note, Samsung Galaxy S9, Xiaomi Mi, Xiaomi Redmi or any device that has got the official Android 9.0 Pie update. I came across different guides to download and install Oreo Viper4Android for Android 9.0, but all of those guides never mentioned the main issues with the installation of the same Sound mode for the Android 9.0. So I come up with more enhanced guide to let you get this beast of sound mode on your latest updated Android device right now. This mod worked perfectly on my previous Galaxy S7 Edge device. The latest version of Viper4Android 2018 has many useful new features added in its best sound mode settings. As compared to the previous or older versions of this mode. The V4A 9.0 Pie build comes with better playback controls. Along with the best field effective transistors support (FET Compressor). Beside this the built-in features has support for more common headphones, Earphones and many other 3rd party bluetooth speakers too with the help of updated Viper-DDC feature. The mode comes with the best pre-loaded custom FIREqualizer for better soft, hard or rocking sound profiles. With the latest Viper4Android 2018 you can get the ViperBass effective for the most loudest Bass and subwoofers. Now moving to the installation, you must prepare yourself before getting V4A Pie 9.0. If you have any of these devices having the latest official Android 9.0 Pie installed on it or even in some cases any third party Custom ROM based on Android 9, you can install it right over. Other vendors include: Onplus, Oneplus 3T, Oneplus 5T, etc. First and most important pre-installation step here is the Root permission. So it means that the device you are currently using must be Rooted. If your device isn’t rooted yet, you should first go for the Root. Secondly the installation may wipe your important data. So we advise you to go for a complete backup of your device before installing this sound boosting mode. Next you should have atleast 50% battery so that the process takes place smoothly. The official Viper4Android forum doesn’t updated their mod for the latest version of Android yet. But I somehow managed to grab this mode and installed it on my Nexus 6p. Make sure to get these pre-installation apps downloaded on your smartphone running the Latest Android Pie 9.0. Once you download the Busy Box app, you will be prompted for the Root Access, Make sure to grant it and don’t do any changes in the settings of the app. Once downloaded and installed, Go for the Root option below the Storage on the left swipe menu. As usual Grant the root permission. Press Ok and exit the solid explorer. Make sure to follow the installation guide given on the XDA-Forum. Now its time to reboot your device before moving to step 2 of this guide. After following the first step and installing the most needed apps, now its the main app installation time. You have to download the latest Viper4Android from the given link below. and download these files to your PC. 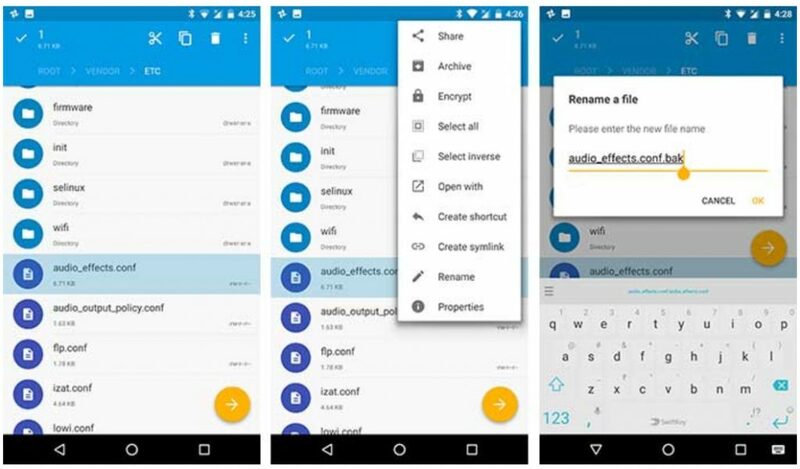 Once the zip file is downloaded, you have to extract it on your device which has two Apk files in it. The First is named ViPER4Android_FX_v2505_A4.x-A7.x.apk, While the second one in the list is named the ViPER4Android_FX_v2505_A7.x_Nougat_IO_test_fix.apk. Keep in mind that we need the Second, So better extract it on a seperate location to install it on your device. Now you have to connect your device with the PC using any working USB Cable and transfer above files to your device. Once done Open the pre-installed Solid Explorer and navigate to the moved 2nd apk file in the above list. ( ViPER4Android_FX_v2505_A7.x_Nougat_IO_test_fix.apk). Now install it. It will launch the Viper4Android app installation. Once you install it and run the app, it will prompt you to install drivers on your device. Tap on Yes for the Root Permission if asked again. Now open Solid Explorer (Or any other file explorer). Navigate to the location where you placed the *.apk file and install it. Once installed, go to the app drawer and tap on “ViPER4Android”. As soon as the app is launched, it will prompt you for driver installation. Just tap on “YES”. You shall instantly be asked for root permissions, so grant them. Now install the drivers. While installing the new drivers, it may freeze your device for some seconds. Once done the Ok message will prompt. You can click on it and then reboot your phone. That’s it. You have successfully installed ViPER4Android on Oreo If you have any issues while installing this mode you can simply comment below. Now all you need is go for best Sound setting on your device to make the sound more enhanced. Updated: Make sure to select the Driver Status to Normal to make sure that the V4A works properly. Now enjoy the ViPER4Android on latest Android Pie 9.0 for 2018/19.